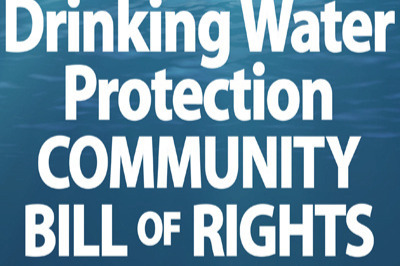 Can you help us get the Youngstown Drinking Water Protection Bill of Rights passed? YES! The Youngstown Drinking Water Protection Bill of Rights will be on the November 6, 2018 General Election ballot and YOUR HELP is needed to get the TRUTH out to the citizens of Youngstown for the benefit of all water drinkers and all supporters of democracy! This Bill of Rights asserts our unalienable right to clean, safe drinking water and our right to local self-government. These rights need to be codified into law and enforced, to ensure a safe and healthy community now and in the future. We also need to codify into law that our PUBLIC monies, our sewer and water utility payments, must NEVER AGAIN be given to PRIVATE developers for PRIVATE profit. See the “Ohio Supreme Court approved” Youngstown Drinking Water Protection Bill of Rights on our website ( protectyoungstown.org ). 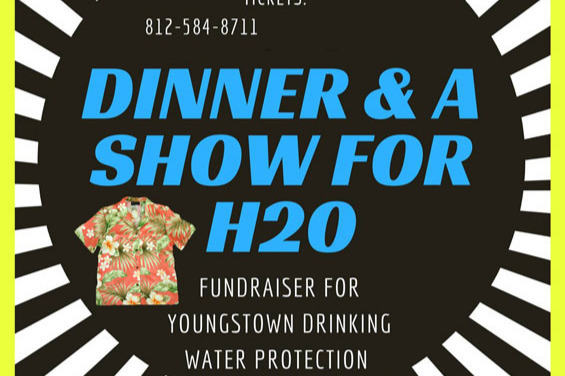 We are seeking your help and there are many ways to support the Youngstown Drinking Water Protection Bill of Rights campaign. Monetary donations can help us with printing materials and postage. Besides canvassing, we send postcards to absentee voters. We would like to finance a direct mail campaign to voters that costs about $5,000. We would appreciate funds for upfront costs for fundraising events. We need volunteers to spread the word: distribute flyers, do literature drops at doors, handout materials during early voting at the BOE and at the polls on election day. We have learned from experience that Word of Mouth, one-to-one, is THE best form of communication and the best way to build community. Please contact us if you can volunteer. NOTE: We do not need funds for yard signs as we recycle our signs and spend many hours and much effort to white-wash and repaint them (another fun volunteering activity!). We really are a fun group of individuals! WE ARE: LOCAL, active, non-paid volunteers who spend countless hours gathering information, designing literature, calling voters, knocking on doors, and talking to citizens’ groups; tirelessly educating the public about threats to our drinking water and crumbling infrastructure and threats to our democratic right to petition our government when it is not protecting us (Article 1, Section 2 Ohio Constitution). AN INVESTMENT - Any amount would be helpful, of course, but we are asking you to dig deep and help us pass the Youngstown Drinking Water Protection Bill of Rights. You can also send a check to the Youngstown CBR Committee at PO Box 43, Youngstown, OH 44501. We hope you share our conviction that CLEAN WATER is a human right and that the funds that citizens pay for water and sewer should be used to improve the quality of that water and the infrastructure that contains it. - all of which have been developed and are maintained completely by volunteers. THANK YOU! Another way to help us, thank you! Today, Tuesday September 4, 2018, the Mahoning County Board of Elections certified the Youngstown Drinking Water Protection Bill of Rights to the November General Election ballot. NOW is the TIME to help us get out the message to VOTE YES for OUR Drinking Water Protection and YES for OUR Water/Sewer Funds to be used for Water Quality Improvement & Infrastructure Improvement. The citizens of Youngstown, now and in the future, deserve nothing less! Funds will be needed for printing educational materials. We may be starting a new fresh campaign, stay tuned. OUTSTANDING! Any amount will help to pass the Community Bill of Rights! Thank you for helping to ban fracking in Youngstown, Ohio! YAHOO! We can print 40 educational brochures! Thank you! Can also mail it to: PO Box 43, Youngstown, OH 44501 :made out to "Community Bill of Rights Committee"
ZUMS! We can paint signs, thank you! TERRIFIC! We can put postage on cards to mail voters in Youngstown! Thank you! YAY! We can buy polling place YES! advocate T-shirts! Thank you! WOW! We can run radio ad campaign! Thank you! SUPER! We can run billboards in Youngstown! Thank you! GREAT! We can send out a direct mail campaign! Thank you! The water you help protect may be your own. I support your persistent efforts and am working in Community Rights in Oregon. For years, I have been encouraged, motivated and inspired by Youngstown to challenge corporate privilege in my own community. Youngstown Community Rights activists makes us members of Community Rights Lane County and the entire Oregon Community Rights Network, fully aware of, and more committed to this righteous battle for the future of our Planet. Please don't send me mail. Email okay. $15 of this donation is from Sandy & Jack Slanina and Mary Krupa for money received from 12 pounds of pop cans recycling. We are fighting the good fight! Youngstown residents need this to be successful, and so do all residents in the state to show us the way forward for our future! Quoting a themesong from Lee Camp, "They've got our money, but we've got our soul!" I want you to pass your Community Bill of Rights!